HomeBlogCan My Teeth Be Reshaped to Look Smaller and Less Obvious? Can My Teeth Be Reshaped to Look Smaller and Less Obvious? Many people feel that their teeth are too big in comparison to their mouth and face. Generally, the front two middle teeth are slightly larger and longer than the adjacent teeth. Sometimes the problem is not that the teeth are too big, but they are protruding which gives the illusion they are bigger. These teeth may be inherently bigger or the adjacent two teeth could be smaller in size than normal, making the front two teeth appear larger. It is recommended to visit your dentist who can give you the exact reasoning for this. Depending on the cause for your teeth looking larger than average, your dentist can decide on the correct line of treatment. 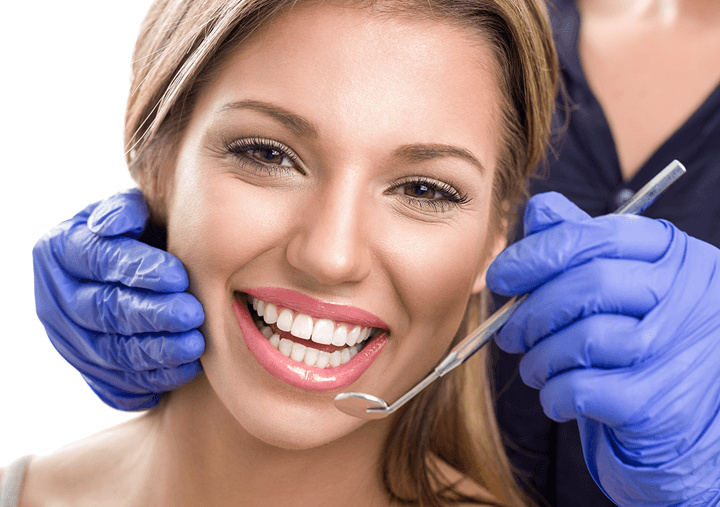 Cosmetic dentistry can now fix your problem and give you the perfect smile. The treatment can range from minor reshaping of your large teeth, to building up the adjacent smaller teeth using composites or having porcelain veneers applied. If you are reluctant to have porcelain veneers because of the shaving and grinding, Lumineers are the perfect solution. They are wafer thin porcelain shells that are placed over your natural teeth, they can even be placed over existing crowns and bridges. They can give you the shape, size and color you desire. Lumineers can also be removed at any stage, leaving your natural teeth the same as before. It is best that you consult with a dentist who is experienced in cosmetic procedures and they can advise you the best treatment plan for you. To book an appointment with one of our experienced Cosmetic Dentists please call one of our branches today. Previous post: Do you Have Inflamed or Bleeding Gums after Flossing? Find out the Correct and Safe way to Floss. Next post: Do You Have White Spots on Your Teeth? Find Out How Can it be Treated and Prevented.